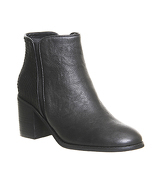 Black Snake ankle boots from Shoe the Bear; Leather Upper; Leather Insole. 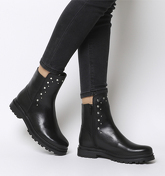 Black Leather ankle boots from Shoe the Bear. Light Grey ankle boots from Shoe the Bear. Studs Black ankle boots from Shoe the Bear; Leather Upper. Slouchy Black ankle boots from Shoe the Bear.